“With Donald Trump there, I have never been treated so badly. I have never been insulted so much. We’ve never been attacked so much. They have never tried to run us out as much as now,” Ramos told Madrid-based Cadena SER, according to a translation by the Media Research Center’s Newsbusters. “This is the worst moment I’ve had in the 34 years I’ve been living in the United States, the worst moment,” Ramos emphasized. A quick perusal of Ramos’s social media confirms that virtually all the engagement to his posts is from people expressing outrage at his tireless advocacy for limitless immigration. Ramos’s activism, which he frequently refers to as “pro-Latino” or “pro-immigrant,” is not restricted to mere calls for amnesty and looser border enforcement. In February, he explicitly told a Spanish-speaking crowd that America belonged to them, not native-born Americans who support enforcing immigration laws. 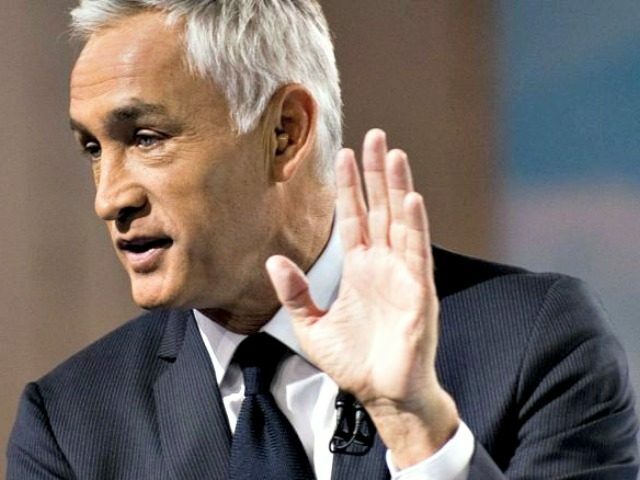 Since then, he has used his platform at Univision and FusionTV to create repeated altercations with President Trump in an effort to raise awareness of the plight of illegal aliens.